Orengo-King v. Kaiser Foundation Health Plan (filed on January 3, 2017): This is a sexual battery case filed against a doctor and Kaiser Permanente in Prince George's County. A woman is receiving pain management care from the defendant doctor and alleges the doctor smirked, fondled, and touched her in multiple instances. Kaiser Permanente knew of allegations against the doctor but allowed him to see female patients without supervision. The defendant doctor's license was suspended in May 2016. Wallick v. Johns Hopkins Hospital (filed January 4, 2017): This is an ophthalmologist malpractice case filed in Baltimore City. 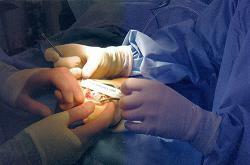 During an eye surgery, defendant doctor improperly places sutures in the man's eye causing further injury. Another surgery is done to retrieve those sutures, but the doctor allegedly using the wrong tool and lacerates the man's sclera. The no longer has vision. Johnson v. Pham (filed January 5, 2017): This is a wrongful death case filed in Baltimore County, alleging that decedent died when defendants took her off anti-coagulation therapy for too long after surgery. This resulted in her suffering a pulmonary embolism, leading to blood clots and her death. Pro se case. The complaint is unintelligible. Srivastav v. Johns Hopkins (filed January 5, 2017): This is a medical malpractice case filed in Baltimore City. A woman alleges that a cervical laceration she sustained while giving birth led to an unwanted hysterectomy. As a result, she is no longer able to have children. Proctor v. Prince George's Hospital/Dimensions Healthcare Associates (January 5, 2017): This is a medical malpractice case filed in Prince George's County. She alleges that the doctors failed to realize she was at risk for an ischemic injury due to her low hemoglobin levels and her low blood pressure. She claims she is left partially blind. Barrie v. University of Maryland Emergency Medicine (filed on January 9, 2017): This Prince George's County wrongful death case involves the failure to diagnose and treat sepsis in a leukemia patient in the emergency room at Bowie Health Center (owned by Dimensions Health). Plaintiff claims the decedent's symptoms of sepsis were dismissed as a reaction to an MMR vaccination or a viral syndrome. Barnett v. Franklin Square Hospital (filed January 9, 2017): This is a wrongful death emergency room malpractice cased filed in Baltimore City. A woman is admitted to the ER with chest pain and is left to use the bathroom without supervision or assistance while orders state for her to be on continuous cardiac monitoring. She suffers a heart attack and dies. Anonymous v. Gabbay, Feldman & Pearlman, P.A. (filed January 10, 2017): This is a wrongful death medical malpractice case filed on behalf of an infant in Baltimore City. Plaintiff alleges that the distress her baby suffered right before it was born causes him to suffer acidosis and to die the following day. She alleges that the doctors should have delivered her baby sooner. Valley v. New Annapolis Nursing LLC (filed January 10, 2017): This is a nursing home wrongful death bedsore case filed in Anne Arundel County. The woman suffered multiple bed sores from multiple instances of neglect during her stay at FutureCare. Her final wound became severely infected and the woman becomes septic by the time she is taken for treatment. She dies a few weeks later. McRae v. Laurel Regional Hospital (filed January 10, 2017): This is an emergency room failure to diagnose case filed in Prince George's County. A woman goes to the ER, with symptoms of stroke and left-sided weakness, which allegedly is not reported to her physician until it is no longer appropriate to administer the most effective treatment for stroke, tPA. Brunswick v. Genesis Healthcare (filed January 10, 2017): This is a nursing home wrongful death case filed in Montgomery County. Within one month of residing at Shady Grove Center, the decedent develops a pressure ulcer on his sacrum which becomes infected. It goes untreated and contributes to his death within two months. Palk v. Ambulatory Urology Surgical Center, LLC (filed January 11, 2017): This is a medical malpractice case filed in Cumberland. A woman is in the hospital recovering from a procedure that required anesthesia. She allegedly falls off of a stretcher while attempting to stand up, and strikes her head on the face and wall. Keller v. MEP Health, LLC (filed January 12, 2017): This is a radiologist and emergency room malpractice case filed by Allegany County. A man falls off a ladder and goes to the ER where he is told he does not have a significant injury so to go about his normal activities. A few weeks later, doctors realize they missed three fractures in his spine in the original CT. He alleges that if the fractures would have been reported sooner, he would have been in a brace and on bed rest, eliminating the need for a kyphoplasty. He is left permanently and significantly disabled. Rosenberry v. Anne Arundel Medical Center (filed January 12, 2017): This is a wrongful death surgical malpractice case filed in Anne Arundel County. The plaintiff alleges that the gallbladder surgery should not have been done on him due to his medical history. After the surgery, the man becomes hypotensive, his blood pressure drops, and he suffers a heart attack. Miller v. Johns Hopkins Hospital (filed January 12, 2017): This is a wrongful death medical malpractice suit filed in Baltimore City against Johns Hopkins. A man's family alleges that the decedent should not have been given Plavix while in the hospital due to his medical history of GI bleeding. White v. The Orthopaedic and Sports Medicine Center, PA (filed January 13, 2017): This is an orthopedic malpractice case filed by a woman after pressure sores led to the loss of a toe and a bone in her foot, filed in Anne Arundel County. The plaintiff goes to fractures her foot, and she is placed in a fixed ankle walker, and then a total contact cast, despite a sore developing on the ball of her foot. She develops an infection that goes untreated for too long and requires the amputation and permanent injuries. Zaccardi v. FutureCare - Pineview (filed January 17, 2017): This is a nursing home's failure to give physical therapy/bed sore case filed by a man in Prince George's County. While the man resides at the facility, he alleges he does not receive health care services and physical assistance such as patient monitoring and being turned while in bed. The man develops a serious contracture to his knee and a serious skin infection, leaving him with permanent injuries. Anonymous v. Kaiser Foundation Health Plan (filed January 17, 2017): This is a failure to diagnose Down Syndrome wrongful death malpractice case filed in Prince George's County. A woman alleges the negligent failure to provide adequate medical guidance which would have given her the option of terminating her pregnancy upon finding out that her baby had Down Syndrome. Rasheed v. St. Agnes Hospital (filed January 17, 2017): This is a surgical malpractice case filed in Baltimore City. A woman alleges that during a breast reduction surgery, defendants failed to ensure that an adequate blood supply is maintained. The wound subsequently becomes infected a month later, and defendant doctor delays in prescribing antibiotics. The woman is left with significant scarring and deformities of both of her breasts. Wisniewski v. Heritage Harbor, Inc. (filed January 17, 2017): This is a nursing home wrongful death case filed in Baltimore City arising from Heritage Harbor nursing facility. His Estate alleges that the staff fails to provide appropriate pressure and skin care relief, resulting in an infected sacral pressure ulcer. Once he is transferred to the hospital, it is a stage IV infected ulcer. He is diagnosed with sepsis and dies shortly later. Ridley v. Horizon Surgical Group, P.A. (filed January 17, 2017): This is a wrongful death medical malpractice claim filed on behalf of a woman in Montgomery County after undergoing an aortic aneurysm repair at Shady Grove Adventist Hospital. She dies as a result of sepsis from the aortic graft infection. Kamara v. Prince George's Hospital Center (filed January 16, 2017): This is a lack of informed consent malpractice case filed by a woman in Prince George's County. The plaintiff alleges her doctor informed her that he would be removing a cyst, but then performs a hysterectomy. It was filed pro-se. MuFarreh v. Kaiser Foundation Health Plan of the Mid-Atlantic States (filed January 17, 2017): This is a surgical malpractice case filed in Baltimore County. A woman has bilateral cheilectomies done to remove bunions on both of her feet. After the surgery, her pain increases and she has blisters. Kaiser Permanente refuses to provide postoperative care due to changes in her health insurance. When she seeks a second opinion, a doctor performs a "salvage procedure," on the MP joints of her feet. Schwartz v. Express Care Urgent Care Centers (filed January 17, 2017): This case is an aortic aneurysm misdiagnosis case filed in Harford County. A 66-year-old woman goes to Urgent Care and is given antibiotics. She completes the antibiotics with no change in her condition. After her second trip to Urgent Care, she goes to the ER where she is diagnosed with an acute inferior wall myocardial infection. She deteriorates rapidly and develops chronic renal failure in the ICU. Haischer v. Sinai Hospital (filed January 17, 2017): This is a surgical malpractice filed in Carroll County after a man is discharged from Sinai Hospital. Less than a month later, he is readmitted for a complication with the surgical wound. He files this claim, pro se, after he continues to suffer problems after the surgery, alleging the defendants negligently performed an unnecessary and improper procedure. Maguire v. Dimension Health Corporation (filed January 17, 2017): This is a failure to diagnose stroke case filed in Prince George's County. The doctors fail to administer the TPA drug, the most effective in treating strokes, and the man is left with neurological deficits and significant medical expenses. Musser v. MedStar Southern Maryland Hospital Center (filed January 18, 2017): This is a failure to diagnose and treat pressure sore case filed in Prince George's County. The decedent is admitted to the hospital after a fall and has a right hip hemiarthroplasty procedure done. Two days later, medical providers find a pressure sore on his sacrum. This is allowed to spread and worsen. He develops sepsis and dies a few months later due to complications of the pressure sore. Astarb v. Suburban Hospital Healthcare System (filed January 18, 2017): This is a wrongful death hospital malpractice case filed against Suburban Hospital in Montgomery County. Defendants fail to maintain an adequate airway during, leading him to suffer a hypoxic brain injury and pass away just short of two months after he is admitted to the hospital. It is the first one filed this year by Miller & Zois. Melnychenko v. Johns Hopkins Medicine (filed January 18, 2017): This is a surgical malpractice/failure to diagnose infection case filed against Johns Hopkins in Baltimore City. After having breast cancer surgery done, plaintiff develops an infection that the doctors fail to diagnose despite all of the signs and symptoms at the surgical site. Damato v. Urology Associates (filed January 18, 2017): This is a failure to diagnose prostate cancer case in Allegany County. Despite all of the test results done and the continued treatment, doctors failed to timely diagnose plaintiff's cancer. This delay allowed the cancer to spread, resulting in a diminished life expectancy and the need for intense chemotherapy. Ware v. Patuxent River Health & Rehabilitation Center (filed January 19, 2017): This is a nursing home fall lawsuit filed in in Prince Geroge's County against Patuxent River Nursing Home. After physical therapy one day, plaintiff complains of pain and fatigue. Requests for a wheelchair are denied, and once she gets back to her room, she is placed in a slumped over, uncomfortable position. She attempts to readjust her position when no help is offered, and falls. She lands on her knees, leaving her with permanent injuries to both knees including the inability to walk. She claims she should not have been left unsupervised due to her high fall risk. Weinberg v. Sinai Hospital (filed January 19, 2017): This is a failure to diagnose infection case filed in Baltimore City after a total left hip replacement surgery. Plaintiff undergoes a course of antibiotics after a specimen is positive for cocci. However, this does not stop the infection, as cultures are still positive for MRSA. The wound site begins to have drainage. After two months, he goes to Inova Wound Care Center, where he is found to have MRSA infections in both hips, identical to the prior staph infection. He claims defendants should have provided the necessary follow-up visit is after his MRSA infection. Henry v. Sinai Hospital (filed January 20, 2017): This is a failure to diagnose cancer case filed in Baltimore City. A 13-year-old girl develops pain in her right humerus bone, which doctors confirm is a cyst. She is sent back and forth between orthopedic doctors, as she is reassured that it is not cancer. Unfortunately, she had a rare form of osteosarcoma, and by the time this is diagnosed, she has to have a part of her humerus removed and replaced with a prosthetic along with intensive chemotherapy. She argues that her oncologists failed to order timely MRI's when she began experiencing sudden, radiating pain. Williams v. Johns Hopkins Hospital (filed January 20, 2017): This is a birth injury medical malpractice case filed in Baltimore City on behalf of a boy born at Howard County General Hospital. An ultrasound shows fetal breathing but no movement prior to birth, and a low fetal heart rate. The boy is born via cesarean section. He is limp, apneic, and has a low heart rate with irregular breathing. An EEG shows frequent electrographic seizures from multiple brain areas, and he suffers brain damage and cerebral palsy at a result. Ronan v. HeartHomes at Piney Orchard (filed January 23, 2017): This is a nursing home failure to supervise suit filed in Anne Arundel County. A woman resides at the facility for 14 months, needing assistance getting in/out of bed, bathing, and going to the bathroom. One day, a staff member loses control of the plaintiff and the plaintiff falls, fracturing her left hip and seriously injuring her left leg. She is treated for this at the hospital, then returns to defendant facility. A month later, she falls again and sustains a laceration requiring stitches and fractures to bones around her left eye. Holman v. Sheppard Pratt Health System (filed January 23, 2017): This is a wrongful death and survival case filed in Baltimore County, alleging the failure to supervise decedent. The decedent is found on the floor one day near her bed, and physicians are informed. However, eight days later, defendant RN records no significant events throughout her shift while she is supposedly supervising decedent every fifteen minutes. The following morning, the decedent is found to be hypertensive, short of breath, and in distress. EMS is called. Defendants tell them that she suffered a traumatic fall. She dies the following day due to a hemorrhage compressing her brain that developed after the fall. Castro v. Adventist Medical Group (filed January 24, 2017): This is a wrongful death unnecessary surgery case filed in Montgomery County. 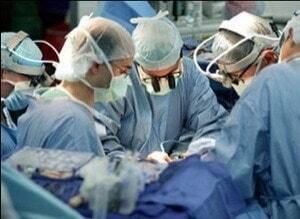 A surgeon diagnoses the decedent with an incisional hernia. A CT shows no signs of this. The surgeon recommends surgery to repair a hernia. This is done at Washington Adventist Hospital by defendant surgeon, who fails to provide the decedent anticoagulation medication. After the surgery, the decedent has a bilateral pulmonary embolism, a massive bleed, and goes into hemorrhagic shock. Less than a week after the surgery, he dies. Plein v. Stella Maris, Inc. (filed January 24, 2017): This is a nursing home wrongful death case filed on behalf of a woman in Baltimore County. Decedent resides at Stella Marris, but after two weeks, falls as she attempts to get out of bed. She is given hot packs for a few days after, as she complains of being cold. The staff stops providing these, so her daughter agrees to bring her more. Her daughter finds her to be lethargic and having chills. The staff collects a urine sample but does not initiate antibiotics. It is not until a final urine culture is returned after decedent is extremely weak and tired, that she is given Cipro. She is transferred to GBMC, diagnosed with sepsis likely from a UTI, and passes away a few days later. Davis v. Prince George's Hospital Center (filed January 24, 2017): This is a surgical malpractice suit filed against Prince George's Hospital Center in P.G. County. Plaintiff goes to the hospital to have surgery to repair a hiatal hernia, but defendant surgeon never attempts to perform the procedure laparoscopically as indicated. He converts the procedure mid-way, after being unable to proceed as planned. The procedure he converted to is not a recognized procedure, and he uses absorbable sutures to secure the site. While in recovery in the hospital, plaintiff collapses and goes into septic shock due to a leak in his stomach at the suture line. Dyson v. Anonymous Dentist (filed January 26, 2017): This is a dental malpractice case filed pro se by a woman residing in Washington D.C. She alleges that defendant dentist replaced all of her lower teeth with metal implants, which they soon realized she was allergic too. She allows her dentist to fix the implants, but he again installs metal implants. This caused her to suffer from swollen and irritable gums that would bleed constantly. She develops what she alleges is a life-threatening infection of her gums. Washington v. NMS Health Care of Hyattsville (filed January 25, 2017): This is a nursing home survival and wrongful death case filed in Prince George's County. The plaintiff's estate alleges that the facility failed to properly treat the plaintiff's dialysis, causing her to bleed to death from a dialysis fistula. Amoh v. Shady Grove Adventist Hospital (filed January 27, 2017): This is a surgical malpractice case filed in Montgomery County. Plaintiff requests copies of images prior to and after she has a hysterectomy procedure done. She claims she was treated disrespectfully after the procedure, and that the hospital fraudulently showed her false images that were not actually hers. She also alleges that the discharge instructions were not clear or correct and that the billing department was negligent. It was filed pro se. Mayer v. Greenspring Surgery Center, LLC (filed January 27, 2017): This is a surgical malpractice case filed against an orthopedist in Baltimore County after a knee replacement surgery. After, the man has to have a procedure done to remove blood in his knee. When he goes for a second opinion, it is determined that the left knee was incorrectly inserted by 12 degrees, and he needed a revision of the procedure. Radding v. University of Maryland Rehabilitation and Orthopaedic Institute (filed January 27, 2017): This is a medical malpractice case filed in Baltimore City after plaintiff receives injections into his lower back at Kernan Hospital. After the injections, defendant tells him to stand up from his chair in the recovery room, without offering assistance. While attempting to follow instructions, he falls. He sustains injuries to his right knee, his coccyx, whiplash, and a brain injury. Henderson v. Good Samaritan Hospital (filed January 27, 2017): This is an emergency room malpractice case filed in Baltimore City. Plaintiff goes to the ER and begins receiving IV antibiotics due to suspected pneumonia. His condition improves, but eight days later, he suffers sinus bradycardia and a 2nd-degree atrioventricular block. The nurses fail to continually monitor this, and he is left with an anoxic brain injury due to lack of oxygen. He remains in a coma. Francisco v. Anonymous Dentist (filed January 30, 2017): This is a dental malpractice case filed against a dentist in Montgomery County. Plaintiff alleges that the implants he received were improperly placed and injured the tissue in his gums. They have to be extracted by another maxillofacial and oral surgeon due to crested bone resorption, inadequate bone over the implant, and gingival recession. Gale v. Annapolis OB-GYN Associates (filed January 30, 2017): This is an OB-GYN malpractice case filed in Anne Arundel County. A woman alleges that her doctors should have know she was at an increased risk for a placenta previa injury since she had two prior Cesarean sections. She had to undergo an emergent hysterectomy and is now no longer able to have children. Jenabi v. Kaiser Foundation Hospital/Gaithersburg Medical Center (filed January 30, 2017): This is a failure to supervise/hospital fall case filed in Montgomery County. A man falls while he is sleeping one night and wakes up with intense pain on his left side and uncontrollable shakes. He is transferred to a different hospital, without being told that he fell in the middle of the night. X-ray's reveal fibula and humerus fractures. Chambers v. Union Memorial Hospital (filed January 31, 2017): This is a surgical malpractice case filed in Baltimore City. A man undergoes a hip replacement procedure, which requires revision immediately after the surgery. Additionally, a year and a half later, another surgeon performs a hip exploration and has to remove scar tissue. He files suit against the surgeon and Union Memorial Hospital, alleging that the surgeon failed to perform the left total hip replacement and revision procedures accurately. Spruill v. Future Care (filed January 31, 2017): This is a nursing home wrongful death and survival case filed against two Future Care facilities in Baltimore City. A woman develops a large pressure sore while at Future Care Homewood and is then relocated to Future Care Irvington. Her Estate claims that the recurrent negligent treatment she received at both facilities accelerated the deterioration of plaintiff's health. Chavis v. Sinai Hospital (filed January 31, 2017): This is a surgical malpractice case filed in Baltimore City. Plaintiff alleges that during a hysterectomy, defendant doctor used a Power Morcellator. Years later, she finds out that this spread cancer cells in her pelvis. The woman claims that defendant surgeon should have known about this risk and since she was at risk for possibly having cancerous cells as shown in a CT scan prior to the procedure, the Power Morcellator should not have been used in performing her hysterectomy. King v. Anne Arundel Eye Center (filed January 31, 2017): This is a cataract surgery malpractice case filed against an ophthalmologist in Anne Arundel County. During cataract surgery by defendant doctor, the doctor damages the woman's cornea. This requires four correct procedures after she develops an ulcer in her eye. Capone v. Children's National Medical Center (filed January 31, 2017): This is a medical malpractice suit filed in Montgomery County. The plaintiff alleges that defendant doctor should not have incorporated a TENS unit or intense physical therapy regimens into her treatment due to her medical history. Cho v. Anonymous Doctor (filed February 1, 2017): This is a medical malpractice case filed in Montgomery County after plaintiff under went LASIK eye surgery. She claims that the defendant doctor should have never performed the procedure as she was not a proper candidate for it. She is left with chronic eye pain, bilateral eye discomfort, and vision loss.